Riyada for Social Innovation participated in the Girls got IT third edition which took place in Tripoli as a workshop partner. 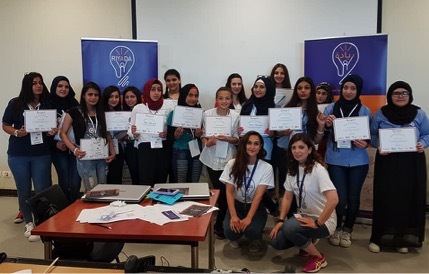 The workshop offered 16 girls from Lebanese high schools and refugee communities technical and soft skills to design a mobile app for social good. The participating teams engaged in design thinking and chose the topics of child abuse and women empowerment to develop mobile apps for. They learned how to do wire-framing on paper and using a software on a computer. Each team presented their work to the rest of the group and all participants received certificates. One participant said “this workshop taught us how to think differently” while another said “Now we know that we have a role in creating change”.